Star sprinter back in 2008 at the Beijing Olympics and world’s fastest man, Usain Bolt is a massive fan of technology, with 3 smart phones to his name, 7 million fans on Facebook and a Twitter account that gets updated every day. 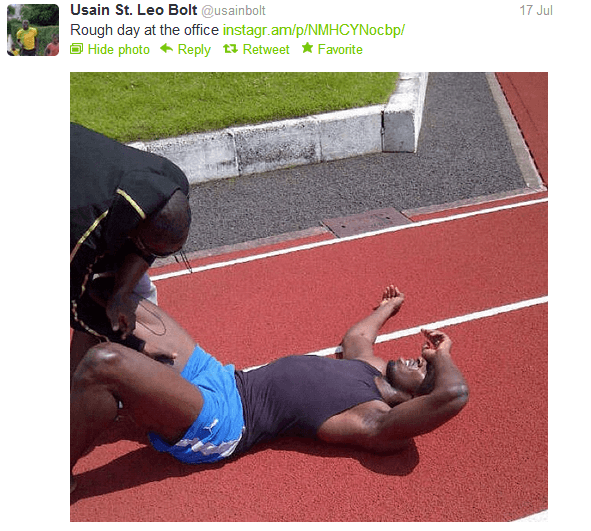 Bolt is definitely one to watch at the London games. 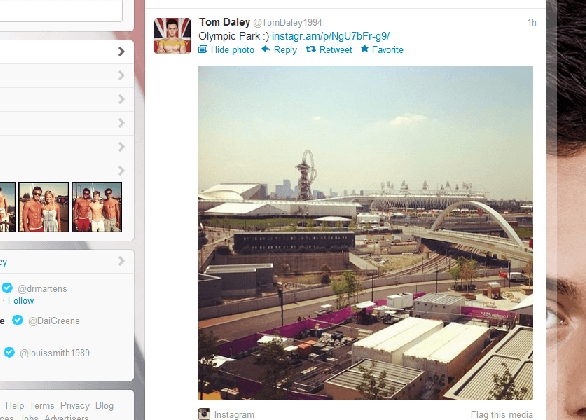 If you’re not reading his Tweets, make sure you are watching him in the 100m sprint. Almost an unknown at the last Olympics, Rebecca Adlington shot to fame after winning two gold and breaking a world record in the 400m and 800m swimming at the Beijing games. Having previously stated that she wouldn’t use Twitter during the Olympics because of trolls, Adlington has had a change of mind and is using it regularly to give us an insight into her preperations. Australian diver, Matthew Mitcham is one of few openly gay athletes competing at the games. Mitcham, who originally trained and competed as a trampoline gymnast is a contender for gold in London after winning gold in Beijing for the 10m Platform dive. Mitcham’s regular updates and insight into what he’s up to has earned him a high number of followers and we’re looking forward to seeing him compete. Still a teenager, but already a national treasure, Tom Daley is one of the British athletes that everyone is talking about. Since competing at the Beijing games when he was only 14, the expectation on him to perform well at the London games has been huge. Daley is using Twitter extremely effectively with over 300,000 followers and we hope he brings home the Gold in the diving. Winning the Champions League and the World Cup earlier this month wasn’t enough for Juan Mata, so he’s back at another major sporting competition, the Olympics, where he will be competing in the football with the Spanish national team. 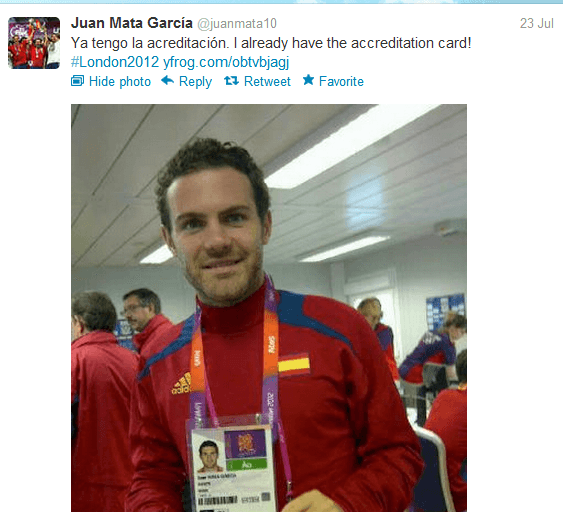 Mata tweets in both Spanish and English, offering regular updates of what he’s up to, from training ground routines to title celebration parties. Whether you are following these Olympic starts on Twitter or not, be sure to catch some of the Olympics where the world’s top athletes perform at the highest level. We can’t wait!